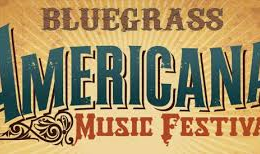 Saturday, March 19th, the Ruddy Well Band will be at the City of Hills Bluegrass Americana Festival taking the stage alongside great talent including the Howlin’ Brothers, Hop City Hell Cats, Milkweed, and 2016 GRAMMY WINNERS the Steel Drivers. Joining Ruddy Well for their performance include good friends from Utica’s the Old Main – Nash Robb and Seth “Graham” Becker. The event starts at noon in the atrium of the Foothills Performing Arts Center. Saturday Tickets are required – $30.00 gets you into all the events including The SteelDrivers at 8pm in the main theater. Thanks for ones marvelous posting! I seriously enjoyed reading it, you’re a great author. I will be sure to bookmark your blog and definitely will come back someday. I want to encourage you to definitely continue your great job, have a nice evening!